Guys, I have to confess something. Call it genius, call it whatever you want - I can't decide which but I feel pretty proud of myself. Earlier this year, I downloaded this app where you can FaceTime Santa. Hunter (my three year) has been obsessed with it; FaceTiming him at least once a week, telling him exactly what he wants for Christmas. This has been going on for months! I've gone through the videos (the app has a handy tool where you can re-watch all of them), wrote down everything he wants. Genius?! Gimme a high five! My youngest, Brody, is one and is pretty chill with just playing with whatever Hunter lets him play with ('because like, God forbid they share) but is super into cars, stuffed animals and action figures. Today, I've come up with a little gift guide that covers everything from building blocks, to cars, to Power Wheels and more for the little guys or girls in your life. What child doesn't like blocks and legos? Both of boys go insane over them. I've included as many block-type toys as possible in this line-up with everything from MagnaTiles to Duplos to Legos. My boys could open up a dealership with all the cars they have! We ended up snagging the blue tow truck (second one in) for our youngest! Melissa and Doug always have the coolest wooden toys. 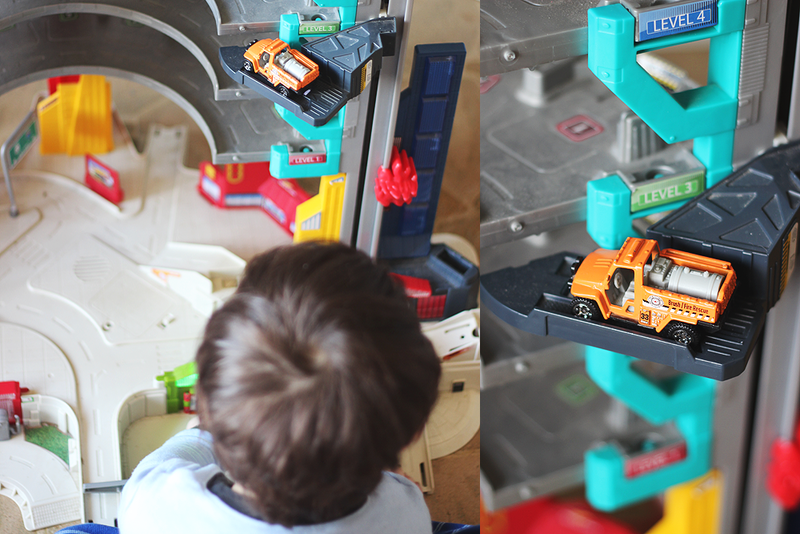 Hot Wheels and Matchbox are classics (we snagged a few sets for our oldest)! 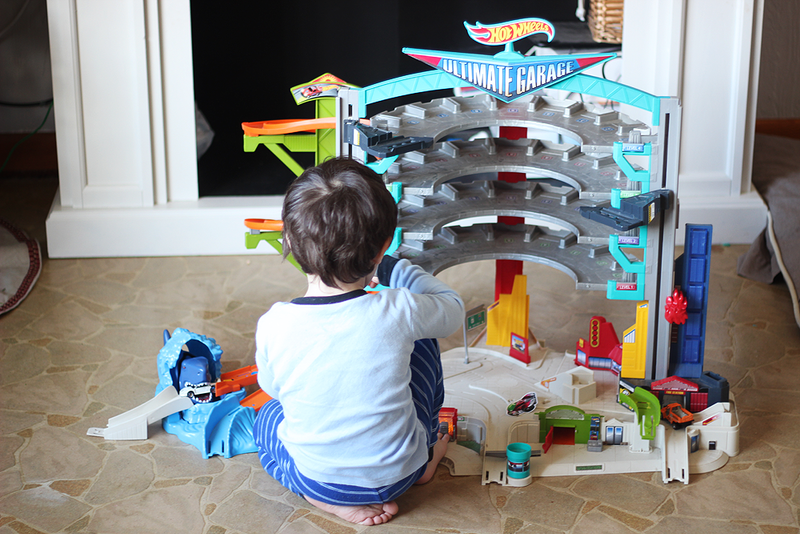 We have the Hot Wheels Garage and my son plays with it every single day. It's currently on sale! We didn't get them a Power Wheel this year for Christmas because they got one for their birthday but holy cow. It seems like every month they come out with cooler and cooler cars and trucks! 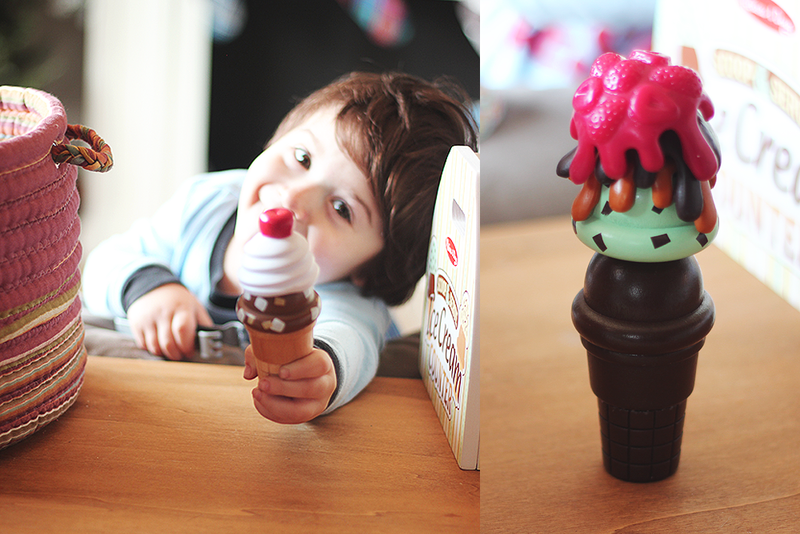 This Melissa and Doug Ice Cream Shop Set is the bomb! Both of my boys love scooping the ice cream and serving up tasty treats. I just bought the Melissa & Doug Coffee Maker for them for Christmas since they just love helping me make mine. That kitchen (third one in) is amazing! 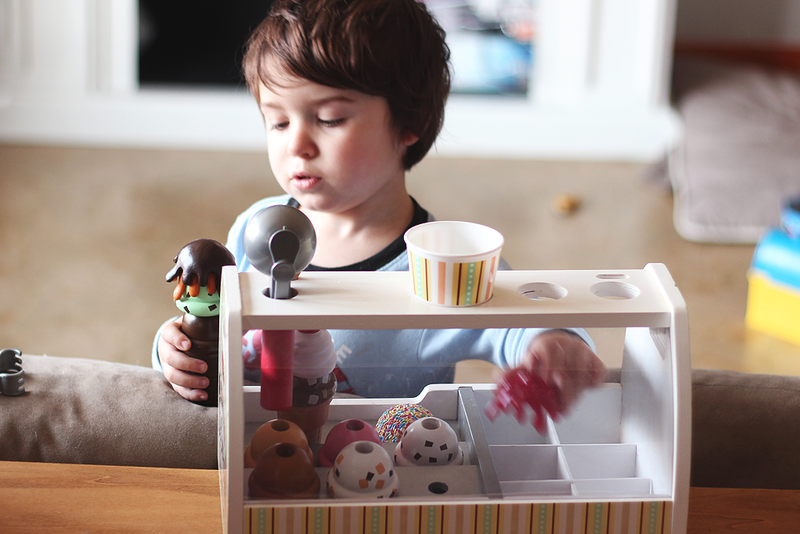 Anyone with littles that love to get their hands dirty? That's both of my guys! Give them some shovels, a pair of goggles and a magnifying glass and they're all set for the day! We are HUGE outdoor people. Camping, hiking - you name it, we probably like it! The boys love getting their hands dirty and running around in the yard. We received the Huggle Pod as a birthday present and the boys are OBSESSED with it.